FOUR! Hafeez goes over covers. 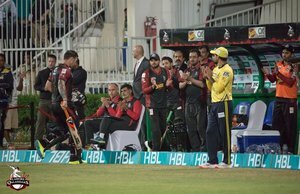 Team #LahoreQalandars , you can do it, InShaAllah! HAI KYA SHOT THA PYARAY! 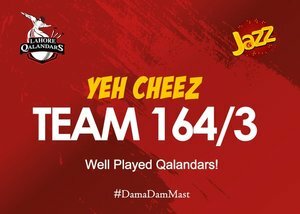 Team #LahoreQalandars , yes, yes, yes, InShaAllah! The @lahoreqalandars skipper makes up for drops earlier in the PSL with a fantastic diving catch to dismiss @MHafeez22 ! 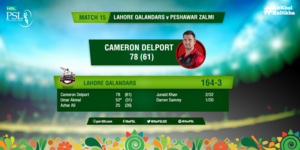 @SAfridiOfficial muscles a full delivery past a diving long-on for four! BUT HE'S GONE NEXT BALL!